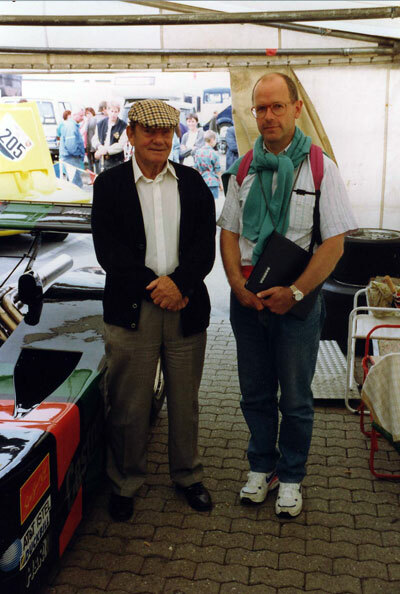 ﻿ "photographs of Carlos Ghys´ biography, part 24 = «WALT MONACO»"
1992 OLD TIMER GP NÜRBURGRING. 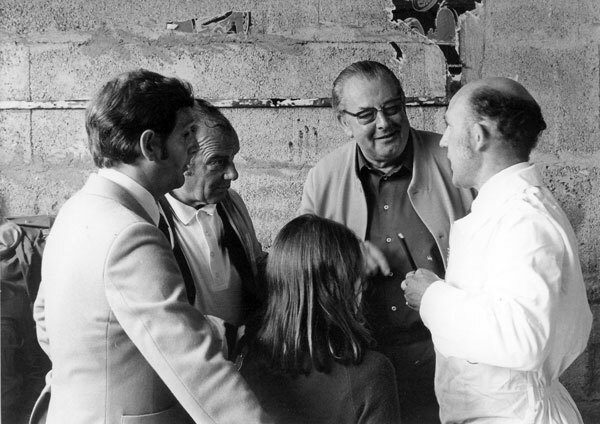 My first contact with Walt E. MONACO. 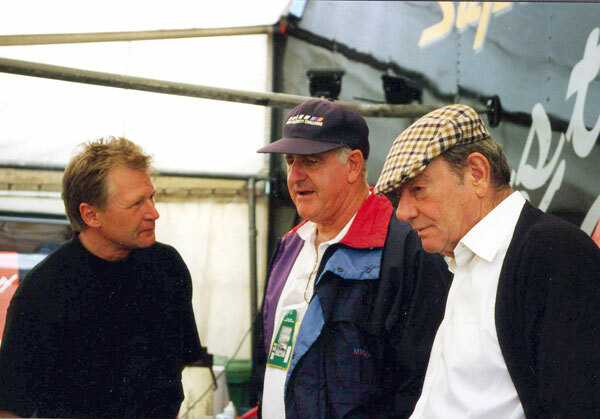 He immediately presented me to the 1967 F1 World Champion Denny HULME and German BRM driver Jost KALISCH. 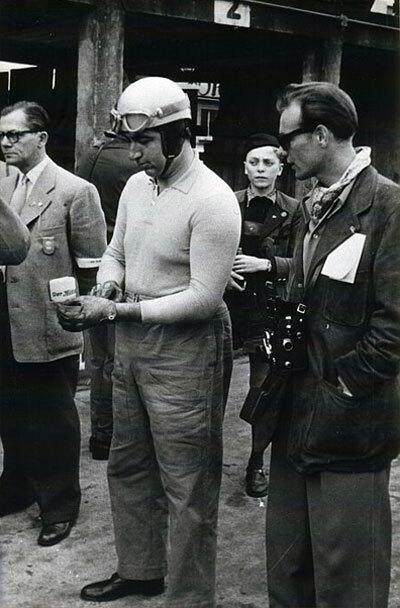 I will never forget, he had these creases in his overalls and he said « I may not be the fastest, but I’m sure that I am the best dressed ». He was a real character, a really funny man. 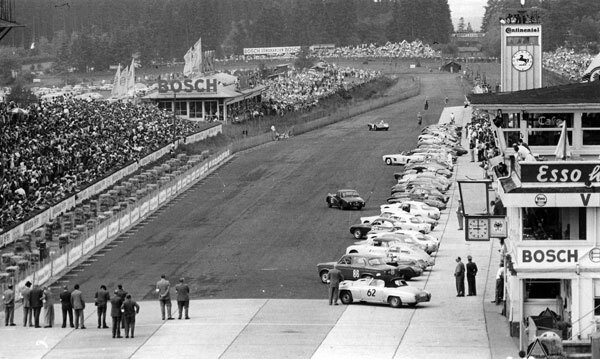 Walt MONACO was also a driving instructor at the Nürburgring. 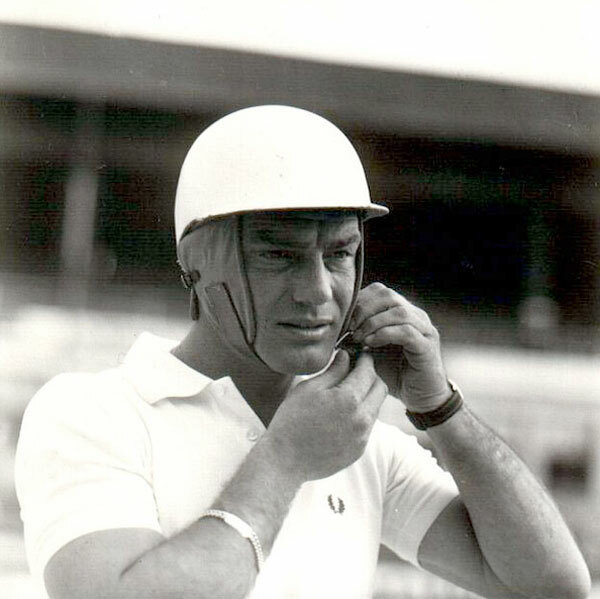 One of his students was Austrian Alpine skier and three times Olympic gold medal winner Toni SAILER. 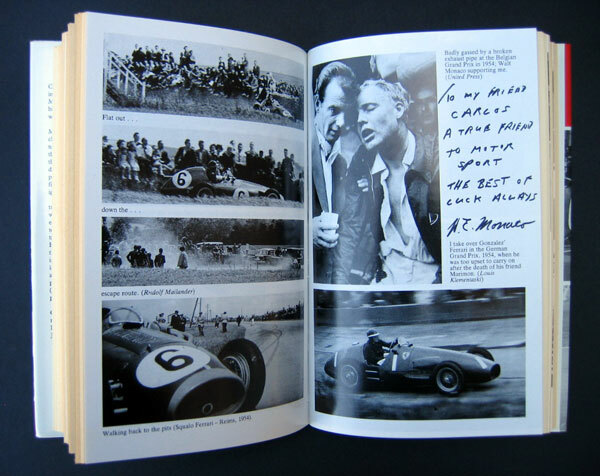 For years, Walt MONACO was a very close friend of British World Champion Mike HAWTHORN. 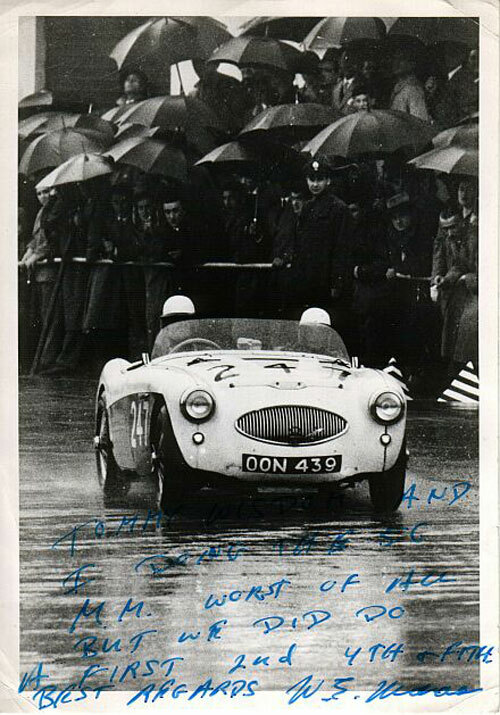 This photograph appeared in Mike Hawthorn’s biography « CHALLENGE ME THE RACE ». 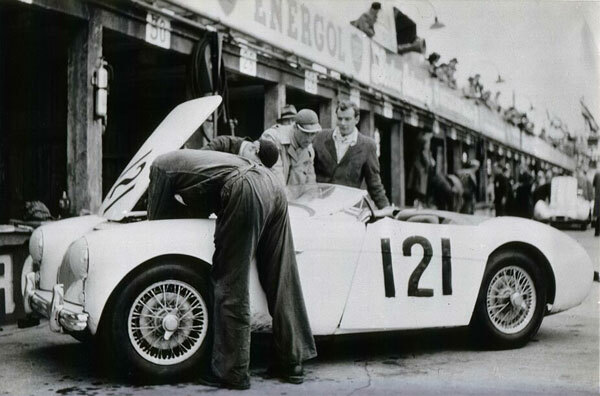 « badly gassed by a broken exhaust pipe at the Belgian Grand Prix in 1954. Walt Monaco supporting me ». 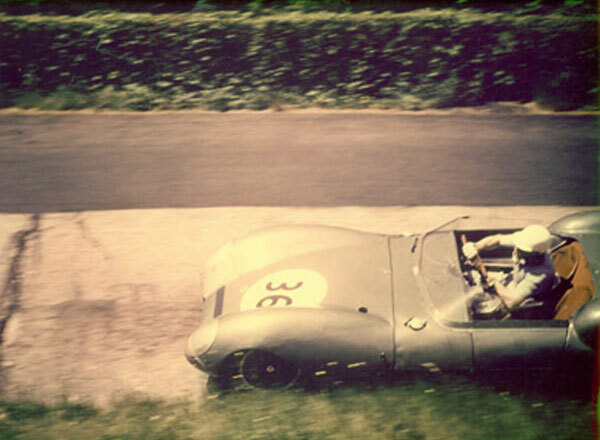 Near his Farnham home, his Jaguar skidded off a wet corner and 29-year-old Mike Hawthorn was killed. 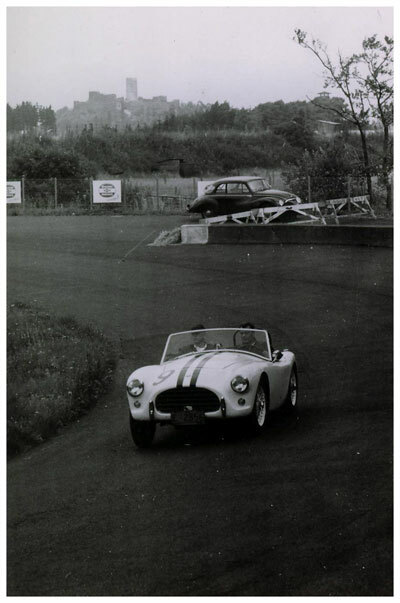 on January 22, 1959, Hawthorn died in an automobile accident on the A3 Guildford bypass. 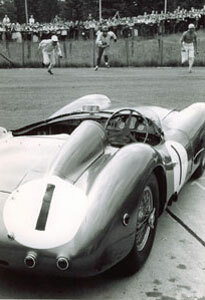 He was driving his British Racing Green highly tuned Jaguar 3.4 sedan (known as the Mark 1 or MK1 Jaguar). 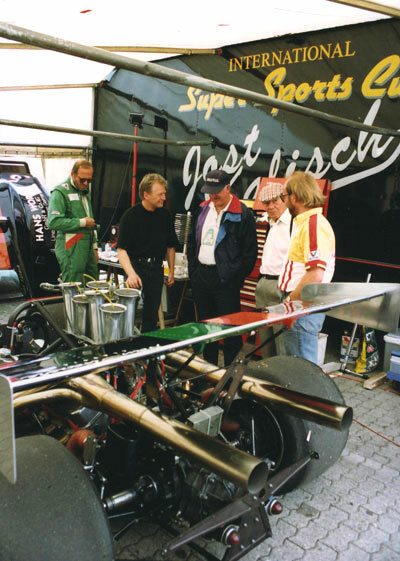 What exactly happened that day is still a mystery, but the crash was most probably caused by a combination of high speed, bad weather, competitiveness and impulsiveness. 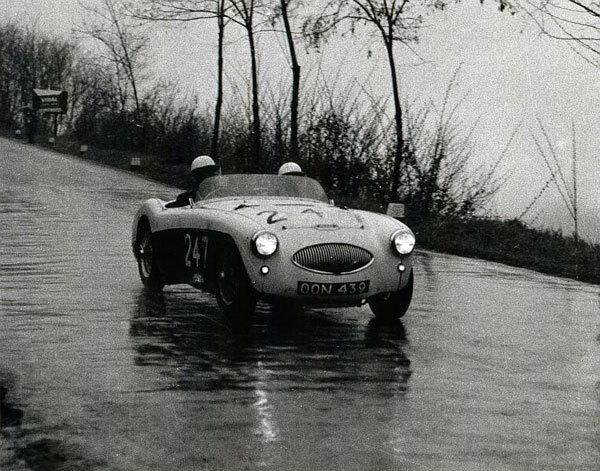 Hawthorn sighted racer Rob Walker's 300 SL Mercedes ahead on the road. 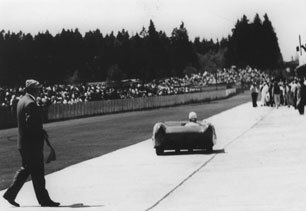 Most likely without any thought Hawthorn instantly pushed his car to pass Walker's, regardless of whether it was safe to do so. 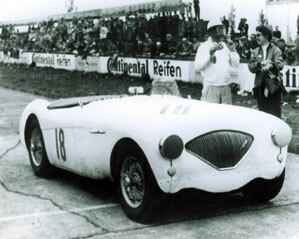 Hawthorn's Jaguar, nicknamed "the Merceater" was heavily modified for high power and speed. 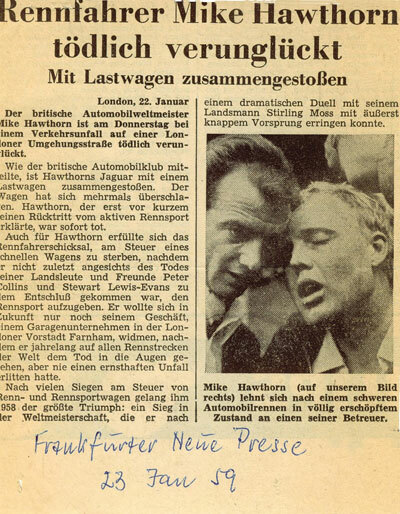 "No Kraut car could overtake or outaccelerate" Hawthorn's (these are the words in his biography Challenge Me The Race). 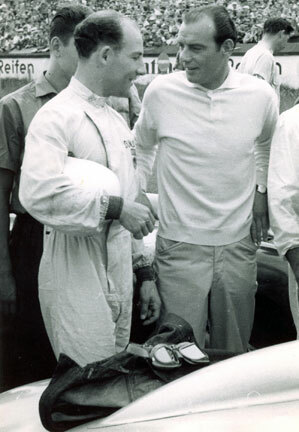 Willy Mairesse (October 1, 1928 - September 9, 1969) was a Formula One and sports car driver from Belgium. 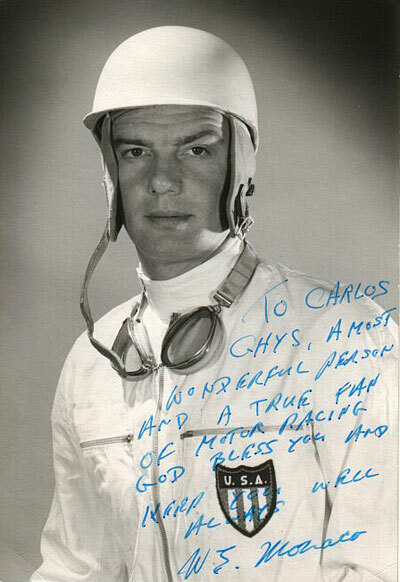 He participated in 13 World Championship Grands Prix, debuting on June 19, 1960. He achieved 1 podium, and scored a total of 7 championship points. 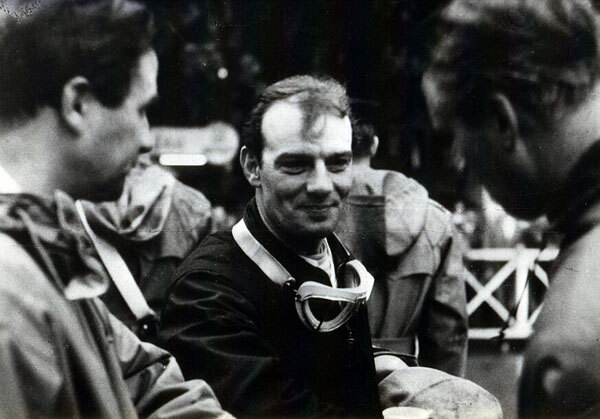 He committed suicide in a hotel room in Ostend after injury at the 1968 24 Hours of Le Mans forced an end to his career. 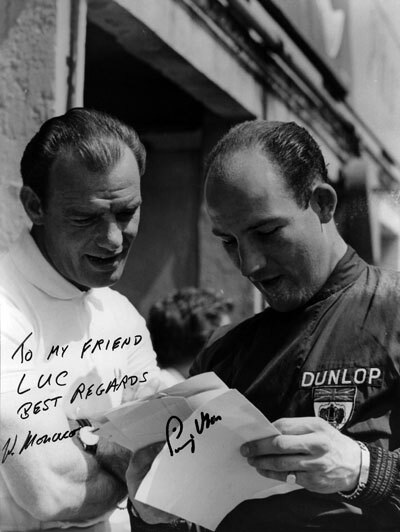 Peter Revson once described the intensity of Mairesse before a race at Spa, Belgium. Revson looked into his car and saw Mairesse's furrowed face, beetled brows, and eyes which were almost tilted and their color changed. It was almost like looking at the devil. 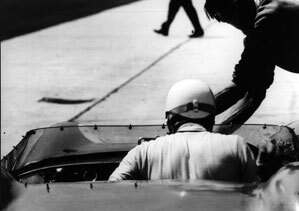 Aurelio Lampredi (June 16, 1917 in Livorno - June 1, 1989 in Livorno) was an Italian automobile and aircraft engine designer. 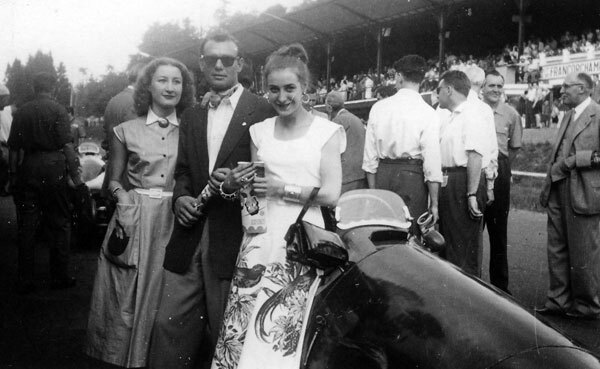 He began his career at Piaggio, makers of the Vespa scooter, but quickly moved up to larger engines. 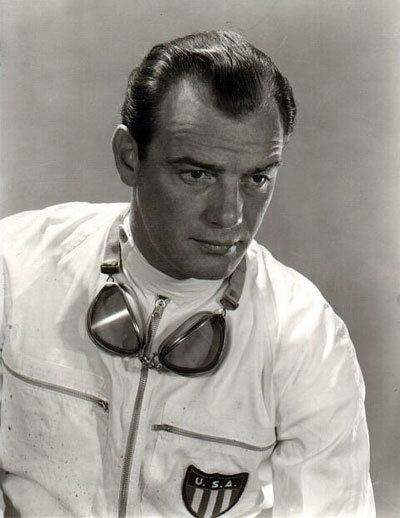 He worked at Isotta-Fraschini before World War II, and then joined Reggiane to design aircraft engines. 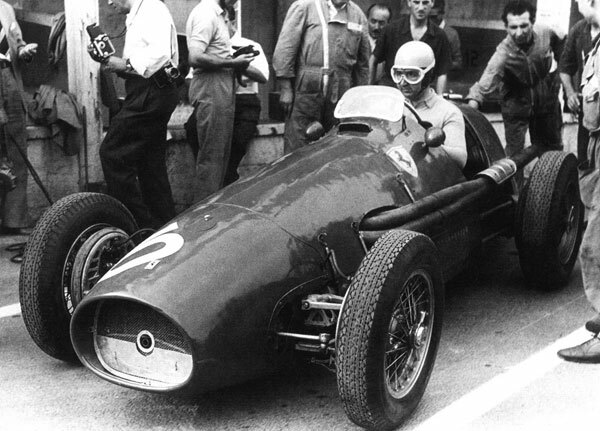 Lampredi's fame brought him to Ferrari in 1946 where he designed a large 4.5 L V12 (the "Lampredi engine") which first saw use in 1950's 257S. 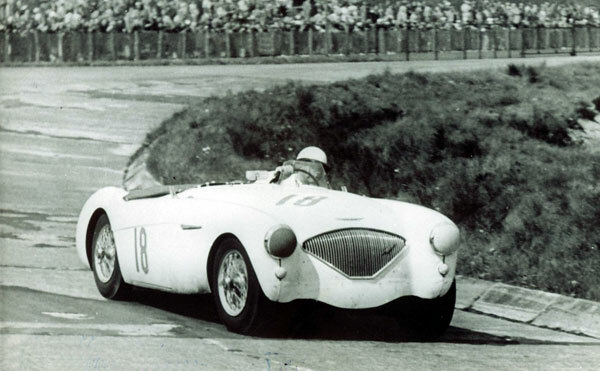 Lampredi returned to Isotta-Fraschini in March of 1947 but returned to Ferrari at the beginning of 1948. 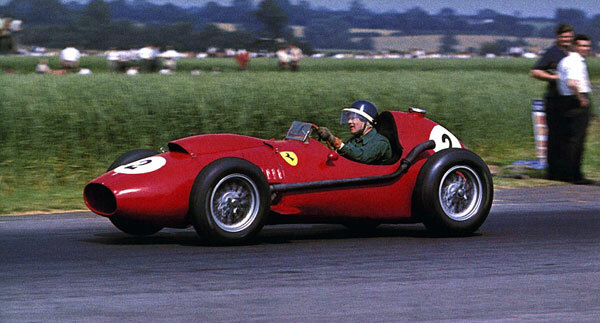 Lampredi's engines were used as large naturally-aspirated alternatives to the diminutive Gioacchino Colombo-designed V12s used in most Ferrari cars until that time. 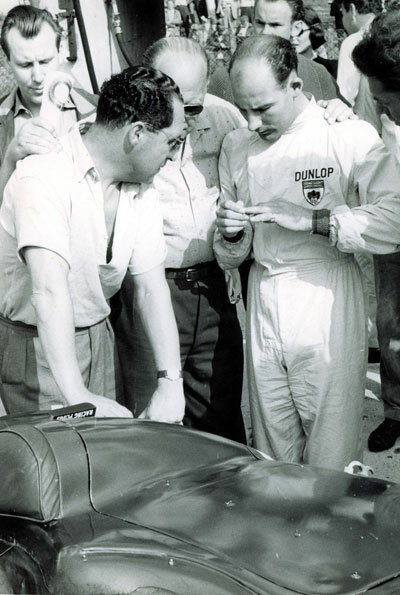 Especially after the failure of Colombo's supercharged engine in Formula 1, Lampredi's design began to find favor in the company. 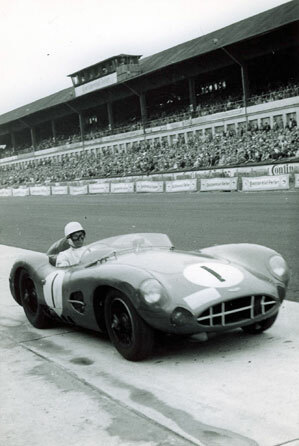 Lampredi oversaw Ferrari's racing effort during its early success in 1952 and 1953. 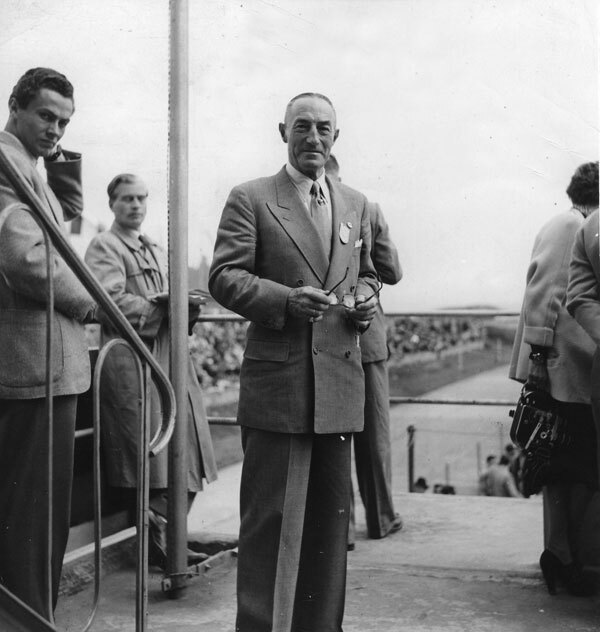 Vittorio JANO was a famed Italian automobile designer of Hungarian descent from the 1920s through 1960s. 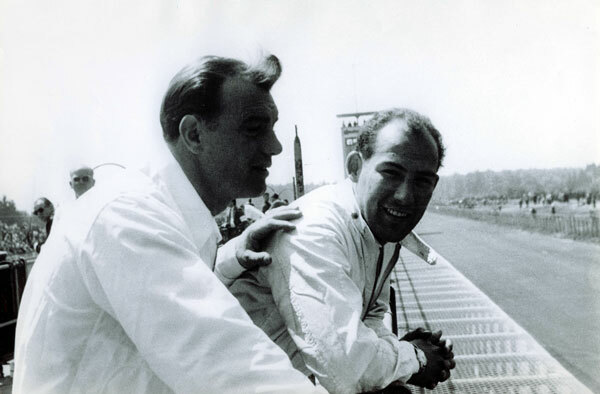 ...Though Lampredi's engine designs lived on in Ferrari road cars, Jano's V6 and V8 engines quickly replaced Lampredi's large V12s for racing use. 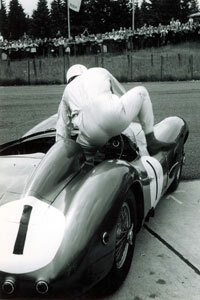 After Ferrari, Lampredi went to Fiat, where he oversaw that company's engine design efforts until 1977. 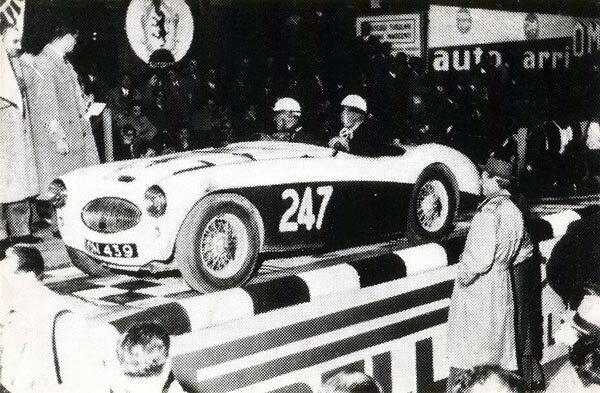 It was at Fiat where he designed the Fiat Twin-Cam and SOHC engines, which provided motive-force for most Fiat automobiles for over 32 years. 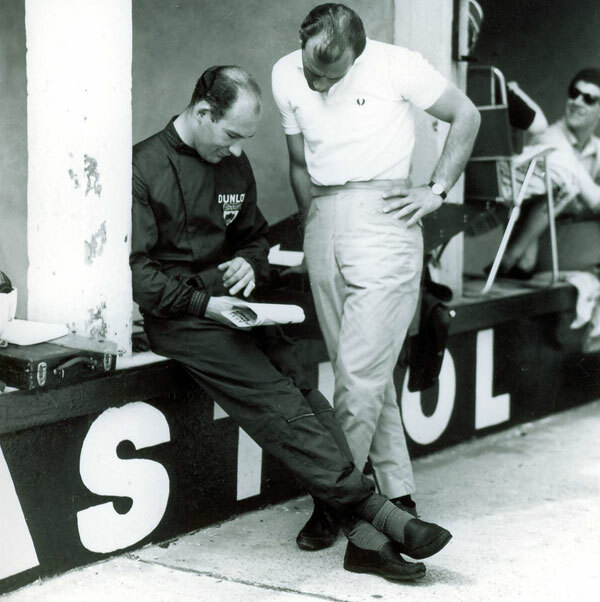 He was also made manager of Fiat's Abarth factory racing group from 1973 through 1982. 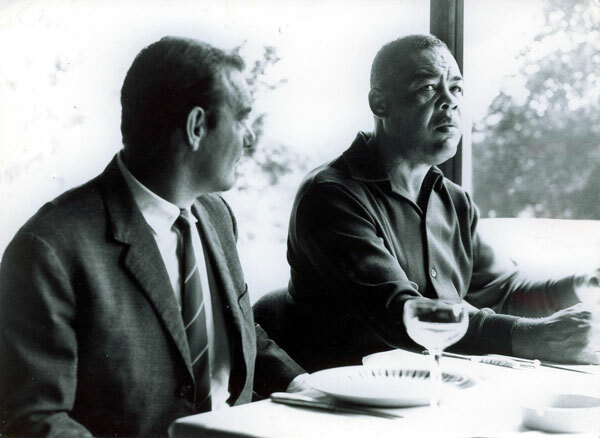 Joseph Louis Barrow (May 13, 1914 – April 12, 1981), best known as Joe Louis and nicknamed The Brown Bomber, a long-time resident of Detroit, Michigan, is considered to be one of the greatest heavyweight boxing champions who has ever lived. 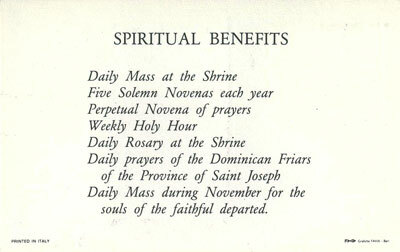 He was praised and loved by America, until the day of his death. He held the title for over 11 years, recording 25 successful defenses of the title. In 2003, Ring Magazine rated Joe Louis No. 1 on the list of 100 greatest punchers of all time. In 2005, Louis was named the greatest heavyweight of all time by the International Boxing Research Organization. 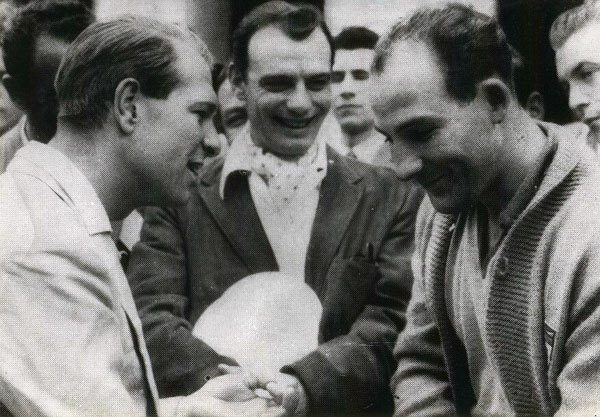 He participated in 27 heavyweight championship fights, a record which still stands. Danny Kaye was one of the most popular entertainers in the United States and England during the 1940s and '50s, thanks largely to a string of successful films that showcased his witty song-and-dance routines. He was a true master of the arts. Equally comfortable on stage, radio, big or small screen, or before live audiences, he charmed the world with his quick wit, unique sense of humor and amazing creative range. Dancing, singing, acting or conducting, Danny Kaye mastered them all, endowing each with his own captivating style. "I believe deeply that children are more powerful than oil, more beautiful than rivers, more precious than any other natural resource a country can have," said Danny Kaye. "I feel that the most rewarding thing I have ever done in my life is to be associated with UNICEF." 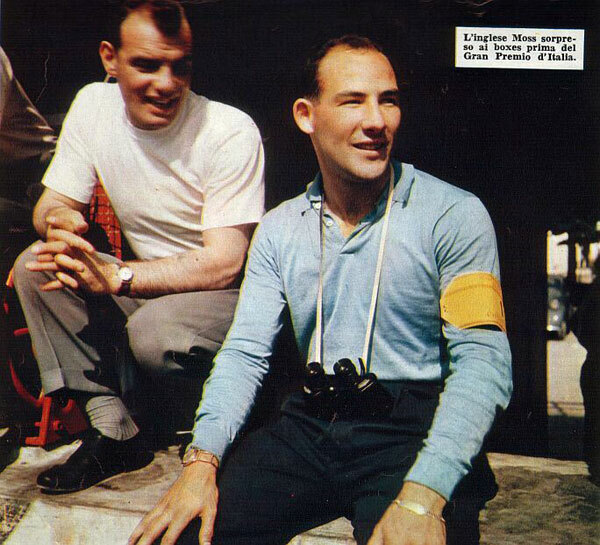 He was also the original UNICEF celebrity representative, a Goodwill Ambassador from 1954 until his death in 1987. And he proved a hard act to follow. 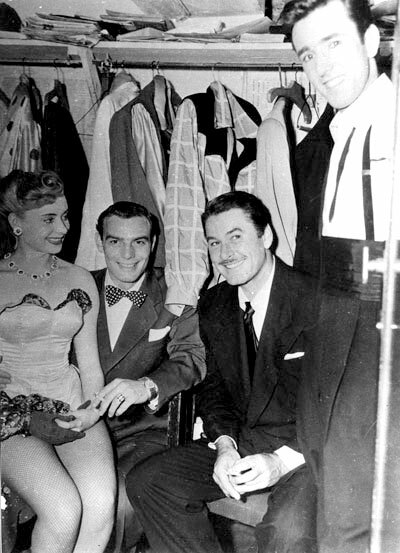 In his lifetime, Errol Flynn received no recognition from his peers at the Academy of Motion Picture Arts and Sciences. 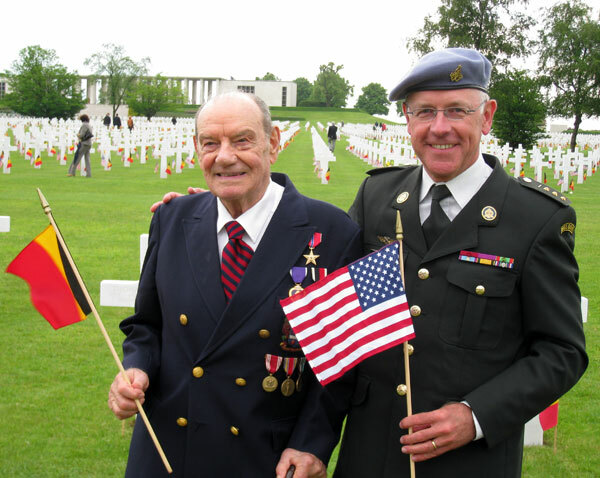 He never attended a ceremony in his honor and was not nominated. Could be that his screen persona, the swashbuckler, the rake, stuck to him too well? Yet in his career he defined a male archetype and forever set his mark on movie maleness, in fact, created a constellation of manly virtues that even today is the stuff of dreams. It's time to bring the black sheep home. Long regarded as the prodigal son of Hollywood, with his real-life adventures, scrapes and insubordination, Errol Flynn lived every man's dream of a full life and found himself typecast. As an actor, Flynn built the foundation for characters later elaborated by Mel Gibson, Arnold Schwarznegger, Harrison Ford or Kevin Costner. 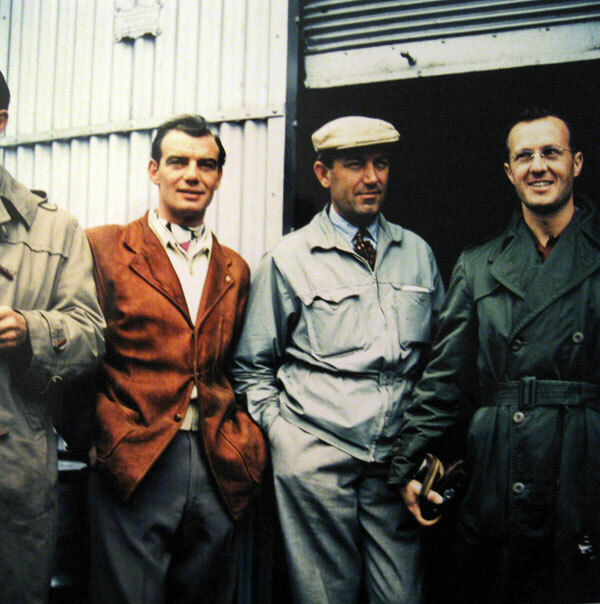 Flynn was the granddad of action heroes who came in with talking pictures, ushering in the era of action-adventure movies beloved of film buffs throughout the 20th century. He defined the swashbuckling heroic type invented in that era. While in the early years of silent pictures Douglas Fairbanks held sway as the man of filmic dreams, once the talkies arrived, Flynn was in the forefront of the action heroes' brotherhood. 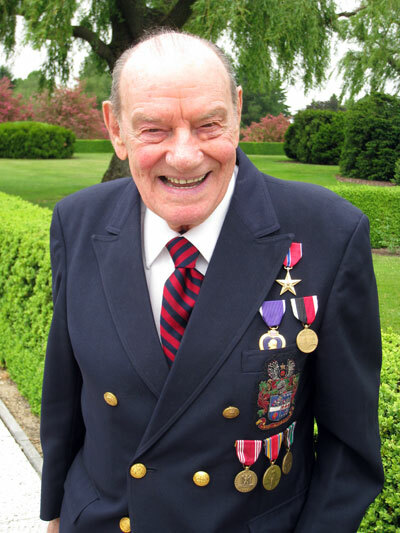 Flynn made movies, did his own stunts, lived his life, thumbed his nose at studio rules, left Jack Warner fuming in his Burbank office suite and went off to sea. 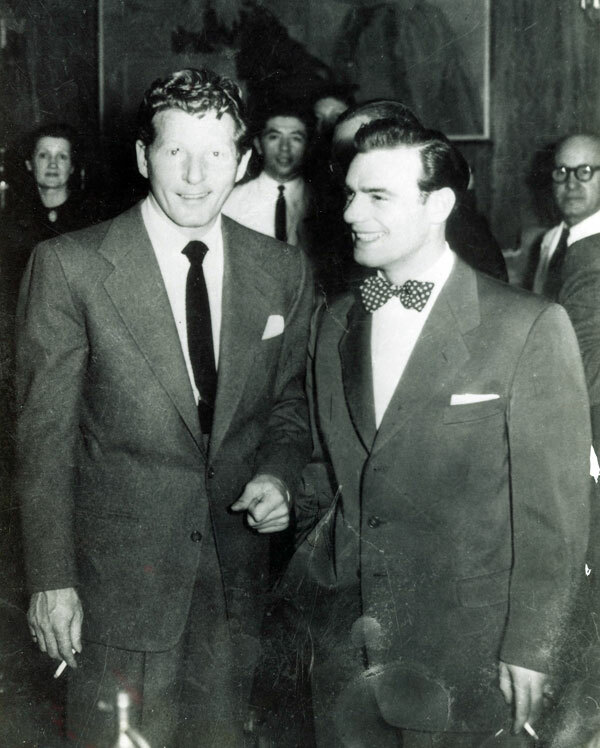 Flynn had many interests, including writing and politics, which toward the end of his life in the late 1950s had him filming in Cuba, making him persona non grata in conservative Hollywood. Careers in the film business ebb and flow.Unfortunately, Flynn did not have a chance to make a comeback late in his career, but died at age 50 of a heart attack. 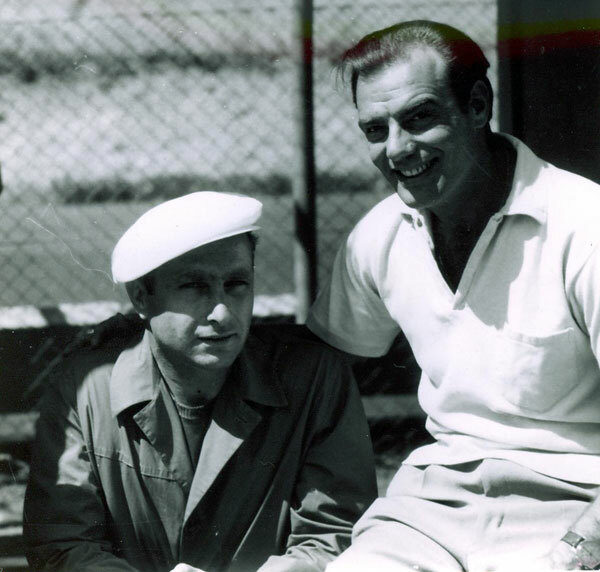 Yet he did have a good run: fifty-three films, some for Jack Warner, others contracted out to MGM, across from great female players such as Olivia De Haviland, Maureen O'Hara, Bette Davis, Greer Garson and others. Sir James Paul McCartney, MBE (born 18 June 1942) is an English rock singer, bass guitarist, songwriter, composer, multi-instrumentalist, entrepreneur, record producer, film producer and animal-rights activist. He gained worldwide fame as a member of The Beatles, with John Lennon, George Harrison, and Ringo Starr. 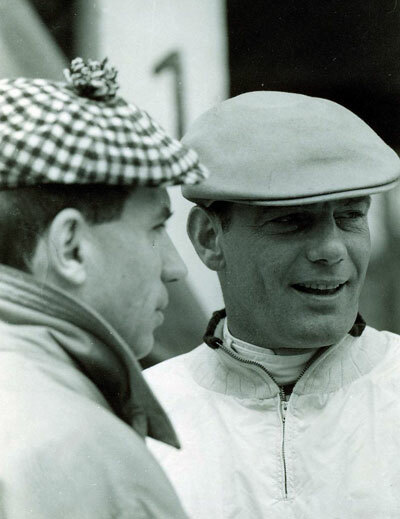 Walt MONACO wishes his friend Peter COLLINS all the luck before the start of this tough race..
At the finish Ferrari had achieved a 1-2-3 victory with Castelloti, Collins and Musso in that order. 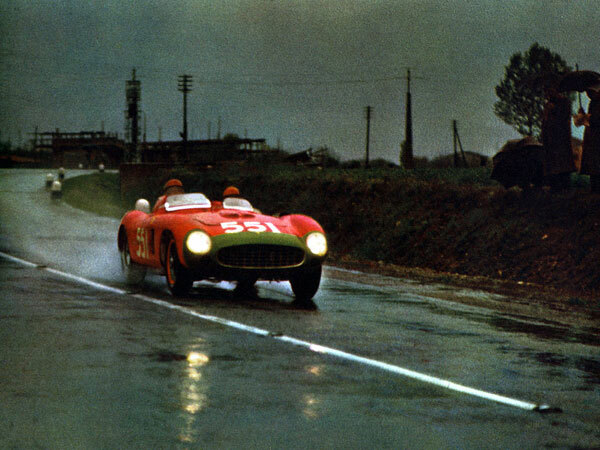 With no competition from Lancia or Mercedes Benz, a young and brave Eugenio Castellotti won the rain soaked 1956 event in a 290 MM Ferrari. 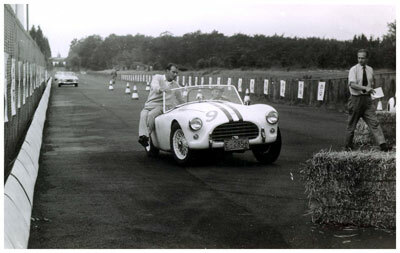 In fact, Ferraris took the first five places, and a 250GT defeated a serious effort by a factory-backed Mercedes 300SL Gullwing, which finished 6th overall. 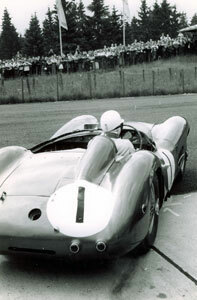 Here are second placed Peter COLLINS and Louis KLEMANTASKI in their FERRARI 860 Monza Scaglietti. 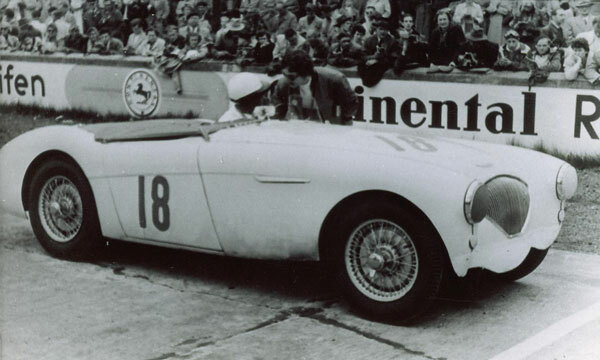 Well known British racing driver and motoring journalist Tommy WISDOM and Walt MONACO on the starting ramp in their AUSTIN HEALEY 100S. 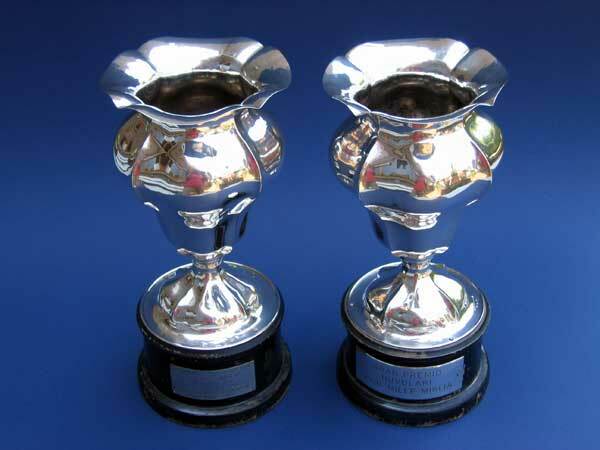 Walt MONACO's Mille Miglia trophies. 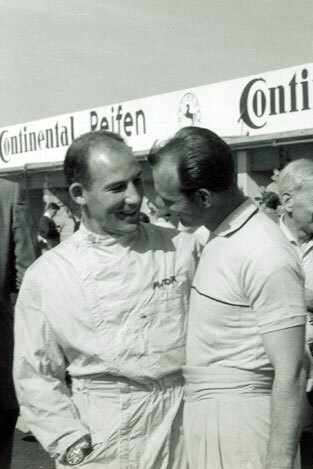 Stirling MOSS and Peter COLLINS joking before the start of the race. 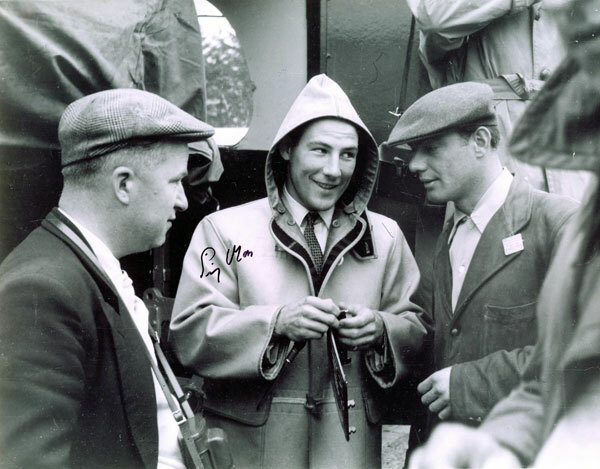 Walt MONACO is amused by the scene. 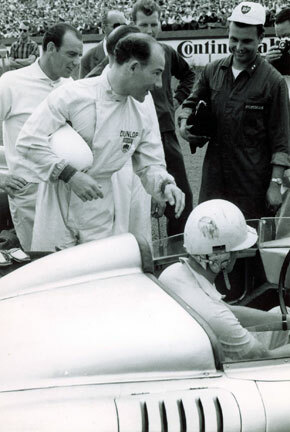 while Walt MONACO didn't finish the race in his LOTUS ELEVEN CLIMAX. 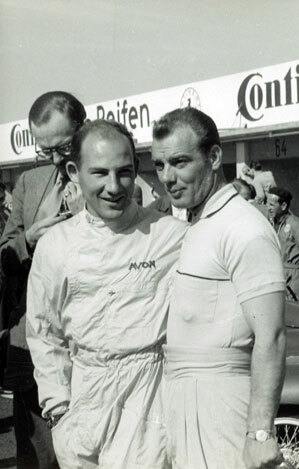 Stirling MOSS and Walt Monaco next to Wolfgang Reichsgraf Berghe von Trips' Porsche 718 RSK. 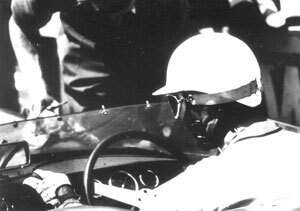 The German was teamed with Swedish driver Jo BONNIER. 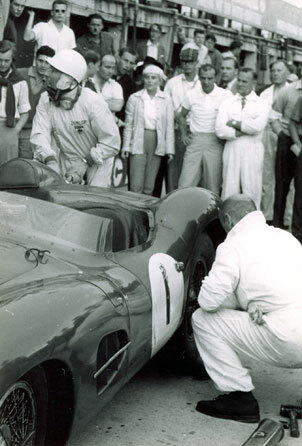 Pit stop and tyre change watched by Walt MONACO in the background. 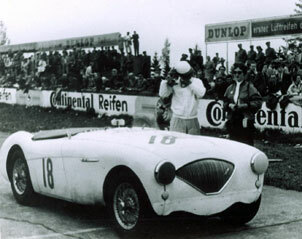 After 7 hours, 33 min the winning car of Stirling MOSS and Jack FAIRMAN crossed the finish line. 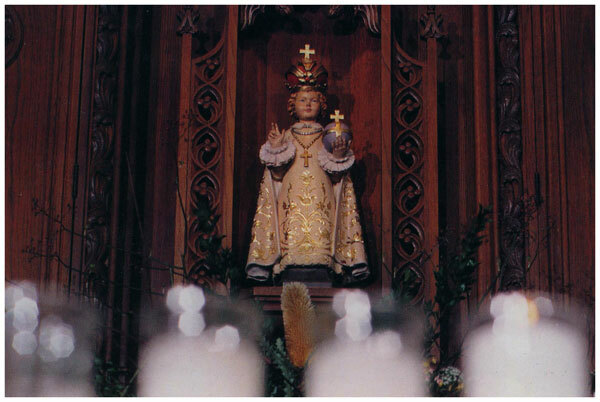 The shrine of the Infant of Prague in New Haven, Connecticut. 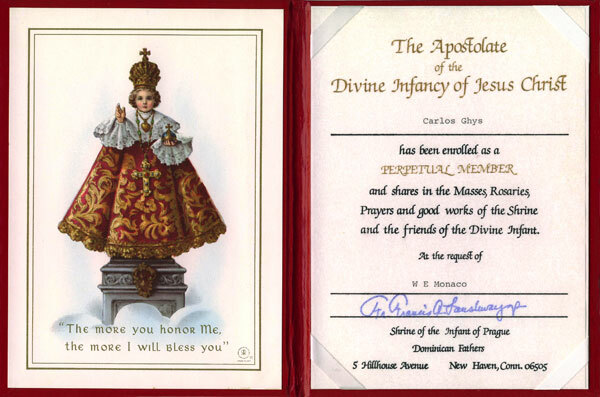 Statue donated by Mr. Walter Monaco, 1991. 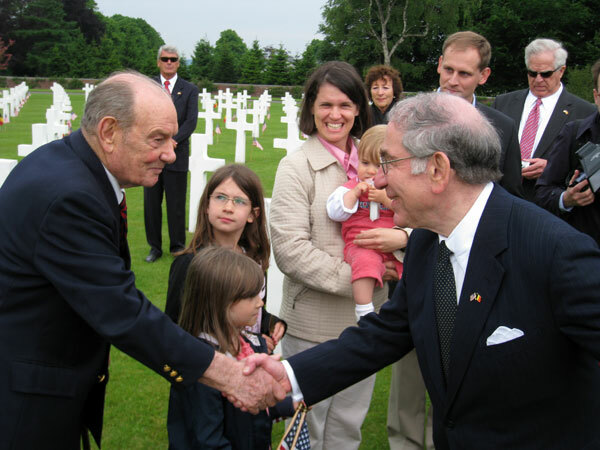 Walt Monaco founded a religious fund, which has now been elevated to « The Trinity Foundation ». 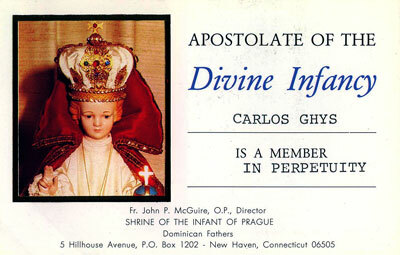 All proceeds will be used for the Hornoring the INFANT of Prague, Saint JUDE THADEUS, and to the education and support of worthy candidates for the priesthood. Africa, the Philippiens, Sri Lanka, India, The US, Germany, Belgium and Venezuela. 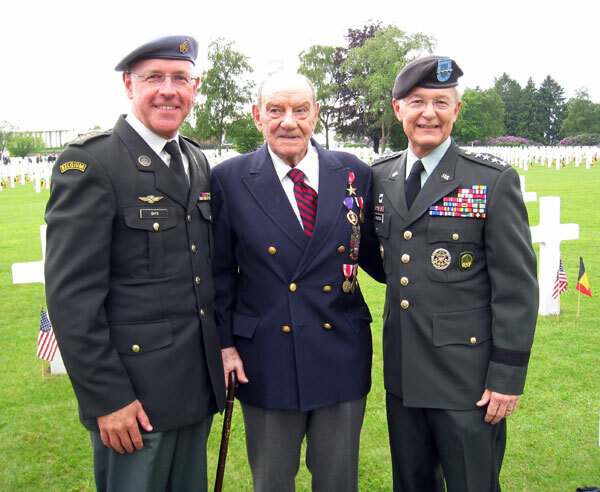 87 years old veteran of the Ardennes Offensive (16 December 1944 – 25 January 1945), Walter E. MONACO, awarded with the "Purple Heart" decoration. while serving on or after 5 April 1917 with the U.S. military. 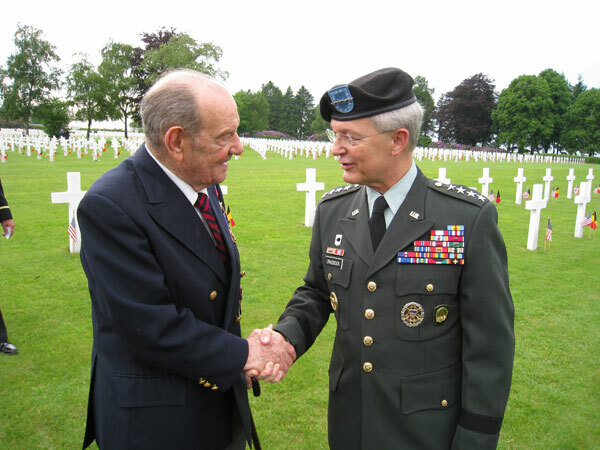 United States European Commander - Supreme Allied Commander Europe (SACEUR).